Home >> Generated from JAN's SOAR Information System on 4/26/2019 3:51:02 AM. 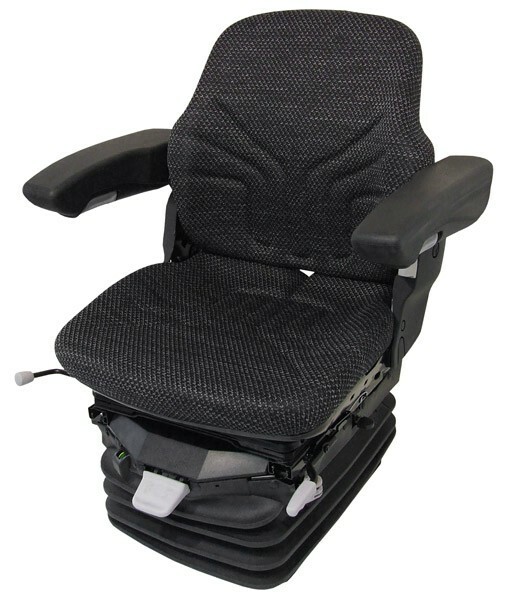 Air-suspension heavy equipment seats cushion the worker's back from the sharp bumping and jarring due to driving on uneven terrain. Soothe your aching back while operating heavy equipment. Dampen the jarring, jolting and jerking and enjoy a smoother ride with less pain. This reduces the stress to the lower back caused by hours spent driving equipment. The typical mechanical suspension systems on heavy equipment do not adequately dampen the jolting bumps experienced on rough terrain for operators with back impairments.